As a long enduring sufferer of Raynaud’s, James from eGlove kindly offered me a pair of the Xtreme range of gloves to try out over the winter to see if they helped. For a technical description of Raynaud’s see here, but in simple terms for me it means I lose all feeling in my fingers (it’s just my fingers my toes and any other body parts are all fine) to a point that they are completely white and numb and I can’t use them properly, they hurt and I can’t close a fist. I’ve been in tears at my front door unable to open the door as I can’t grip my house key enough to let me inside. Sometimes it can 15-20 minutes in a hot shower before feeling returns. It’s pretty scary, especially when you are out on a run and can’t open your food, water or even your car door! Of course I picked pink, but they also come in back with a green print or black with black print if you prefer something less bright. They certainly feel thicker than their regular running glove (my previous review here), designed to be warm from -5 degrees, windproof and waterproof. The gloves are definitely comfortable and windproof, I’d be more inclined to say water resistant than completely waterproof as I found out on many a run in the lovely Scottish winter conditions but they are definitely warmer. 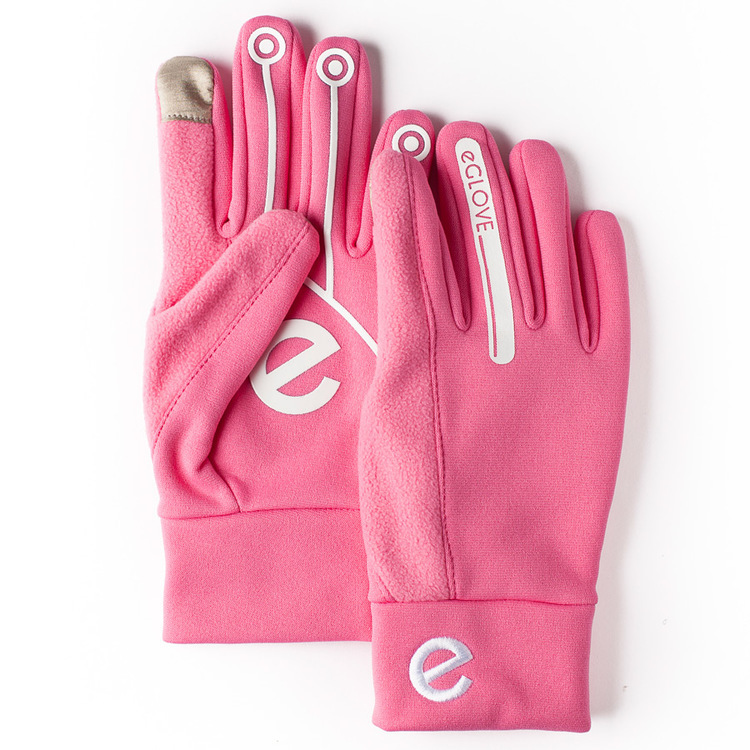 I have found them too warm to wear in spring, I know that sounds odd, but I do wear the regular eGlove over spring as my fingers still suffer from Raynaud’s when it’s 10-15 degrees. They have helped keep my fingers warm, but as my Raynaud’s is getting worse as I get older, I would love to see eGlove develop a similar pair with an over mitt as I have found that this works the best. 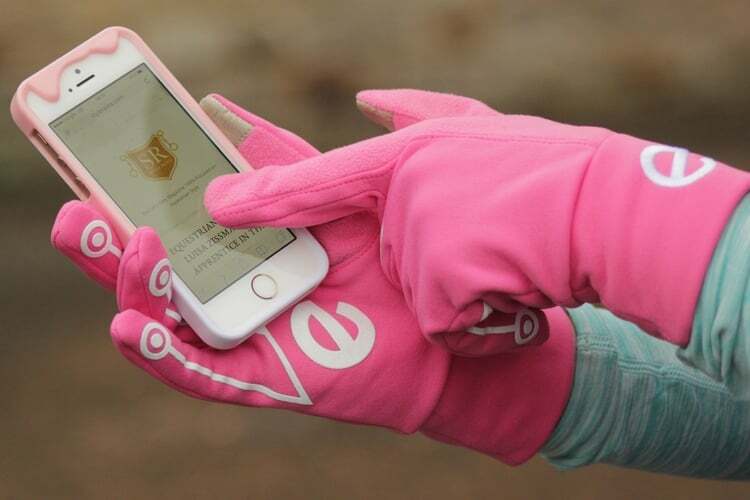 I love the fact that you don’t need to take these gloves off to use your phone, the silicone strips keep your phone in your hand without slipping out and the conductive thumb and fingertips means you can easily use your touchscreen without issues. RRP £21.99 – very reasonable and great value for money.